By learning to read the direction and strengths of the market, even novice mutual fund investors can outperform the best stock pickers. That's because up to 90 percent of a stock's price movement is determined by trends in the market or the industry-not in the qualities of the company. By using point-and-figure charting techniques, Power Investing With Sector Funds supplies a simple and effective way to gauge the ebb-and-flow of the stock market, and ways to invest in the best-performing sectors at the right time, both in the U.S. and abroad. 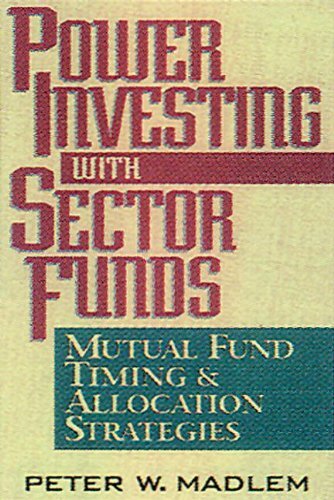 With the help of four technical tools-charting, trend lines, 20-week moving averages and relative strength-Power Investing With Sector Funds takes a step-by-step process to completely cover the principles of diversification, asset allocation, and sector investing to apply the technique for a successful investment program. Best of all, the system outlined in the book takes just 15 minutes a day! If you have any questions about this product by Brand: CRC Press, contact us by completing and submitting the form below. If you are looking for a specif part number, please include it with your message.